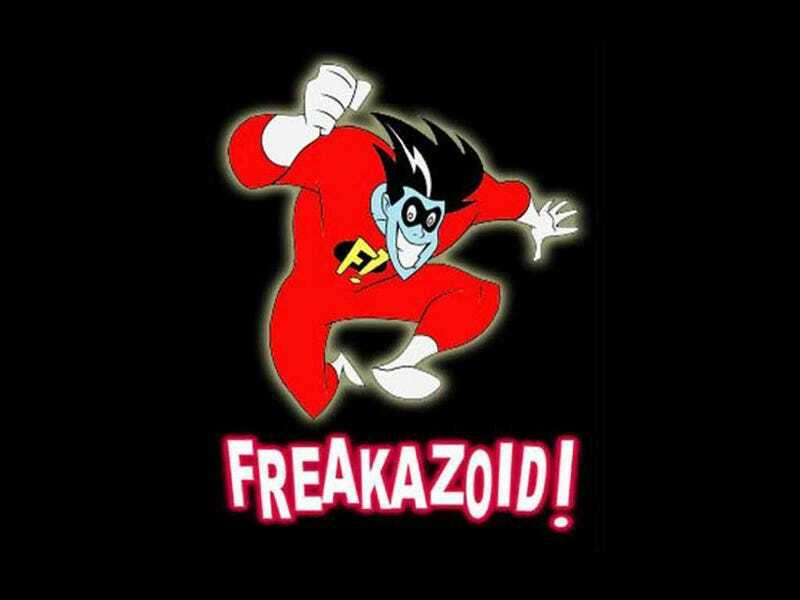 Saturday (Errr Thursday) Morning Cartoons - Freakazoid! Welcome back to Saturday (Errr Thursday) Morning Cartoons! (First in the series for anyone who wants to check out how this crazy journey began) The series where I watch the shows that aired on Saturday mornings when I was a kid and see if they hold up to the nostalgia I had for them. Last week I asked what show you guys wanted to look at and you guys answered with a resounding, Freakazoid! and I am happy to oblige, because I loved that show as a kid. Not to mention it was produced by Stephen Spielberg so it's pretty obvious that a lot of the jokes are going to hold up. So, here we go let's Freak out! One of the things I love about this episode is that it's not an origin story it just sort of picks up where Animaniacs left off and assumes that you know what's up with Freakazoid, that and the theme song actually does a pretty awesome job of summing up who he is, how he got to be who he is, and why the viewer should care. A lot of the jokes towards Dexter resonate with me because I'm a computer science major and I'm constantly sitting in front of my computer. Although, not the parts about not being able to get a date, because c'mon I'm fabulous. Starting gag with the shakespearean monologue about doom leading into meteorologist report, feels cliched until I realized it was so early on in this sort of thing, that it was kinda an innovator. The theme song for this show is awesome. The Narrator for the show is hysterical, and self aware which is always something I enjoy. The breaking of the 4th wall is something that can be hugely entertaining if done right, and a lot of times here Freakazoid reminds me of a tamer Deadpool. I think Freakazoid is the precursor for a lot of the random humor that is a staple of the cartoons these days. I'm loving how well the style ad jokes hold up. The batman joke early on is probably the highlight of the first episode. A school dance in honor of Daylight Savings Time? Fantastic. The parody of the 70's B movies with all the title cards was a great gag. The parents are slightly creepy, and their jokes would be mean spirited if it wasn't clear they didn't know any better. Some of the sight gags that they don't even mention, are fantastic, like one of the really weird looking students at Harry Connick High School who is just there at the school dance. The reveal that the Narrator was actually a puppet, that Freakazoid was operating was amazing. I'm starting to run out of adjectives to describe how much I'm enjoying this. I've found all these episodes on youtube for any of you who want to get some fantastic Freakazoid in. Cave Guy's speech is something that I thought was going to be a one off joke, but I'm pretty glad that it stayed in there for the whole episode. I gotta say that there's a lot more content that would be frowned upon by parents today, and I love that. It reminds me of some of the violence level in Tom and Jerry or the Looney Tunes in that way, and I think it's a style of humor that needs a comeback. I think one of the only jokes that failed in the episode was the watch that turned beavers into gold, because WUT? The cameo by Animaniacs is also totally welcome, and I really like that their cameo kicks off a second story within each episode. I'm a big fan of shows that break up the episode into two different stories so that the comedy of each doesn't get stale. I'm pretty sure that the second story is a running back up story where Freakazoid tries to find a sidekick. It also introduces a number of different characters that we didn't see in the initial story. The second story also seems to be a better parody of the super hero cartoons of the day. Which makes me happy beyond measure, a lot of the shows it parodies are the ones I watched frequently when I was younger. It parodies the Batman The Animated Series quite heavily actually and that is good for a few laughs :) Also the Handman jokes remind me of that South Park episode with Jennifer Lopez on steroids. I think a lot of these jokes go on a lot longer than you think they would, it's like at first you think it's going to get tired and then it just comes back and gets funny again. For example scream-o-vision in the second episode, at first, hysterical. Then it starts to get a little tired and then it gets funny again! Cosgrove, and his random distractions for Freakazoid are becoming a recurring gag, first the mint scene in the first episode and then the Honey Festival in Acton. The second part of the episode had a great Johnny Quest parody, that seems like a precursor to the Venture Bros. I think that I'm giving this one a great 9.5/10 Next week I'm going to take a look at another series from when I was a kid and we're throwing our hat into the Live Action ring as well! Next week: VR Troopers!